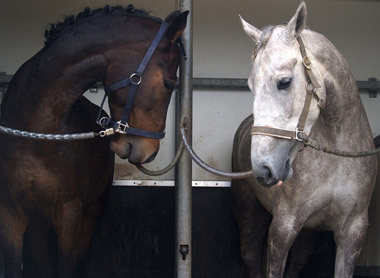 Beautiful horses; photo by Jan Glas on Flickr (noncommercial use permitted with attribution / no derivative works). The first statewide horse show was held in Montgomery in 1988. By 2002 the Alabama State Championship Horse Show had grown from its original 994 entries to over 2,000 entries. As of 2016, it was the largest horse show east of the Mississippi River. Participants range in age from younger than eight years old to adults, and the show is open to all breeds of pony and horse. The competition includes both English and Western riding, barrel racing and other timed events, and spectacles such as a children's costume event. The Alabama State Championship Horse Show is sponsored by the Alabama Open Horseman's Association. Alabama also recognizes an Official State Horse, the racking horse.